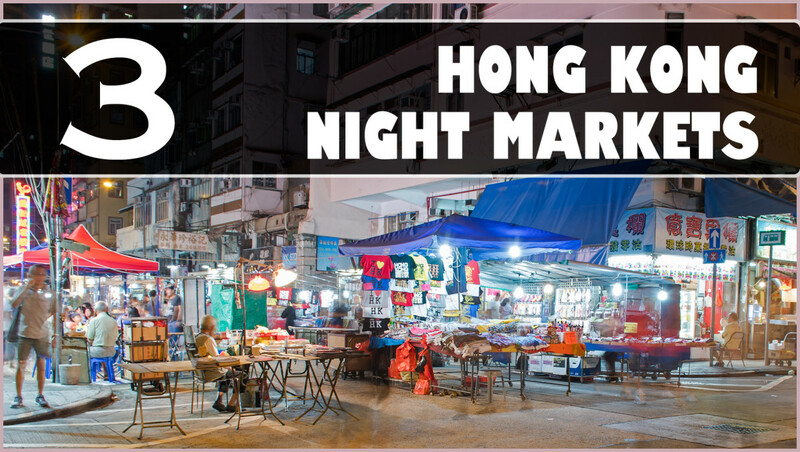 Hong Kong night markets are famous worldwide, and over the years, I’ve visited many of them. 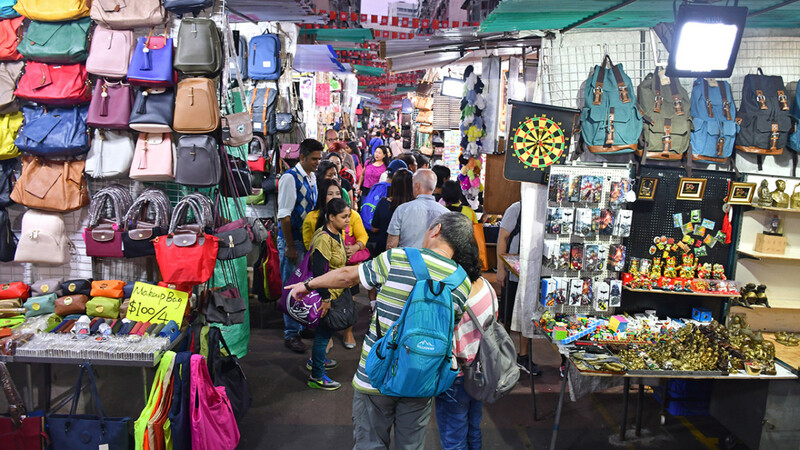 This doesn’t stop me from returning again and again during new trips though, for these bazaars are really such an atmospheric and classic way to experience Hong Kong. In my opinion, there’s simply no easier, more convenient, or more immediate way to get up close and personal with the street culture and food of the former British colony. The following is a visual summary of my latest visit to three famous Hong Kong night markets. 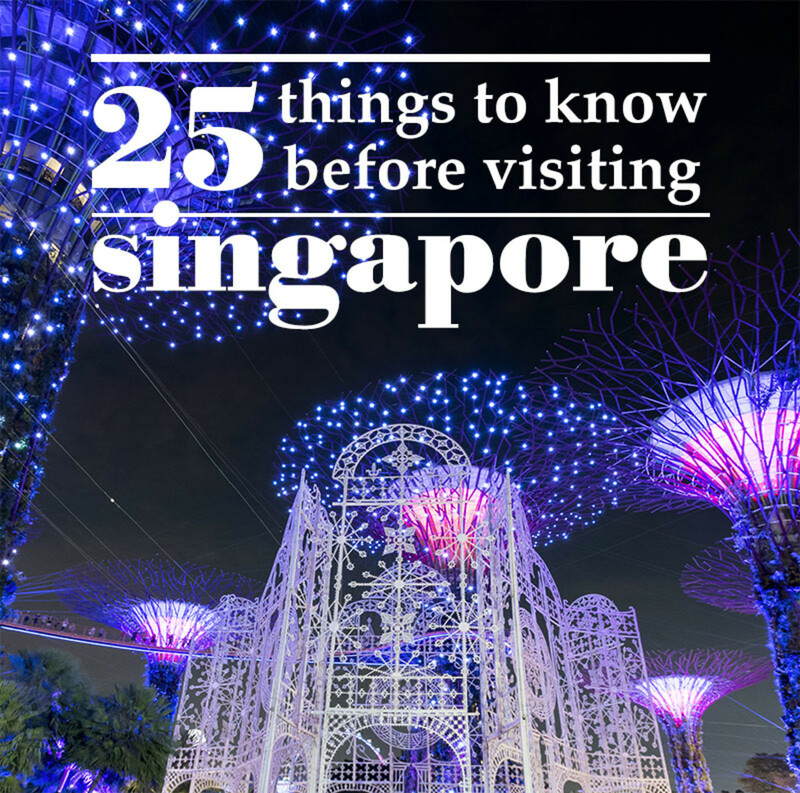 It includes the two world-famous Kowloon markets of Temple Street and Ladies Market, and the more locally inclined stretch at Chun Yeung Street, North Point. 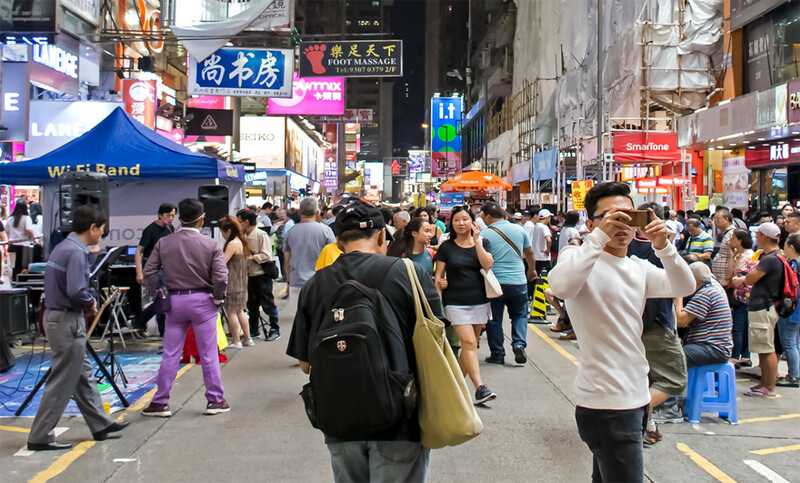 Temple Street is arguably the most famous of all Hong Kong night markets and it is always the first attraction I’d visit on any trip to Hong Kong. 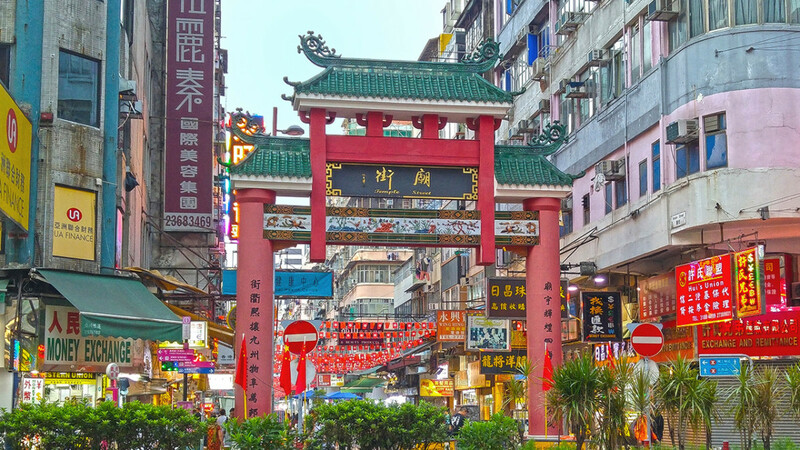 Named after a Tin Hau (Empress of Heaven) Temple at the heart of the district and easily reached by public transportation, this venerable bazaar caters not only to tourists, it’s also where locals head to for fortune telling and delicious Cantonese cuisine. 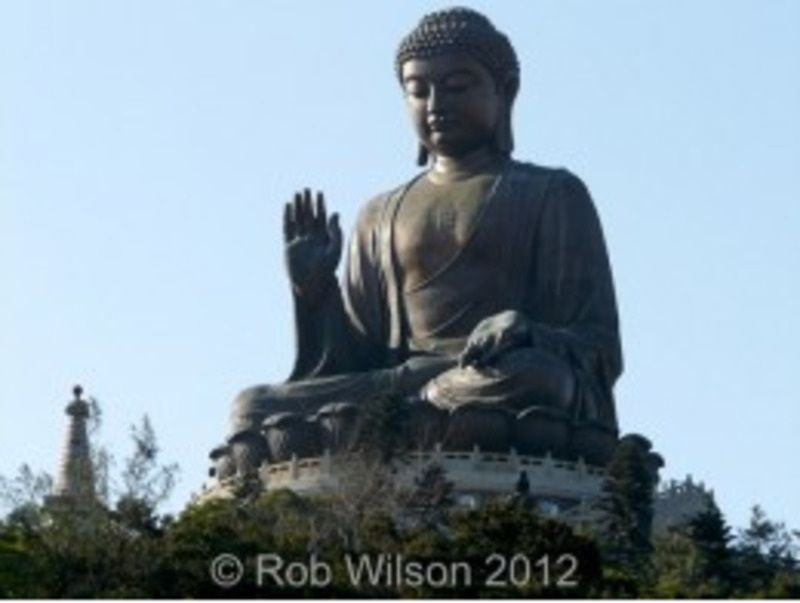 Visiting it before other Hong Kong attractions thus effectively puts me in the right “mood” for the rest of my stay. I began my visit at Bowring Street, which is a stone's throw away from Temple Street. From previous visits, I knew there were roadside stalls here too. These serve as a sort of appetizer for the rest of the evening. Jordan Road entrance to Temple Street Night Market with its signature gate. Heart of the actual Temple Street Night Market. 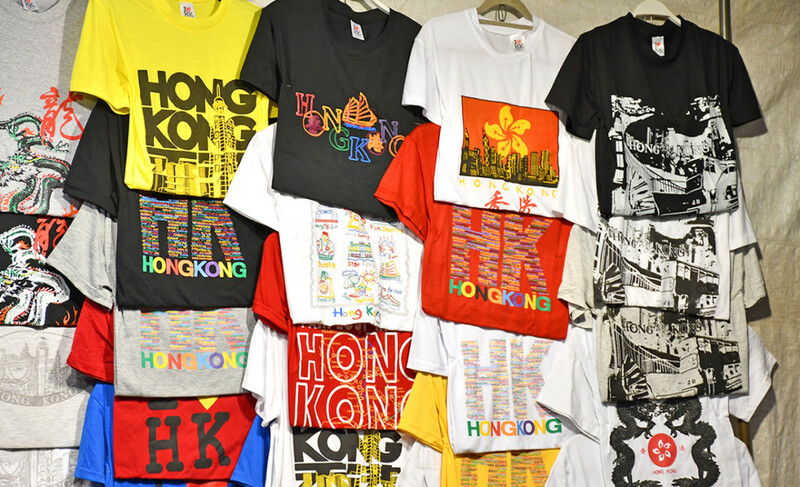 Hong Kong night markets are the best places to get one's I Love Hong Kong tee, if one's bargaining skills are exemplary. The same goes for all sorts of apparel and accessories. You could get a complete fashion and accessory makeover here! At an affordable price too. 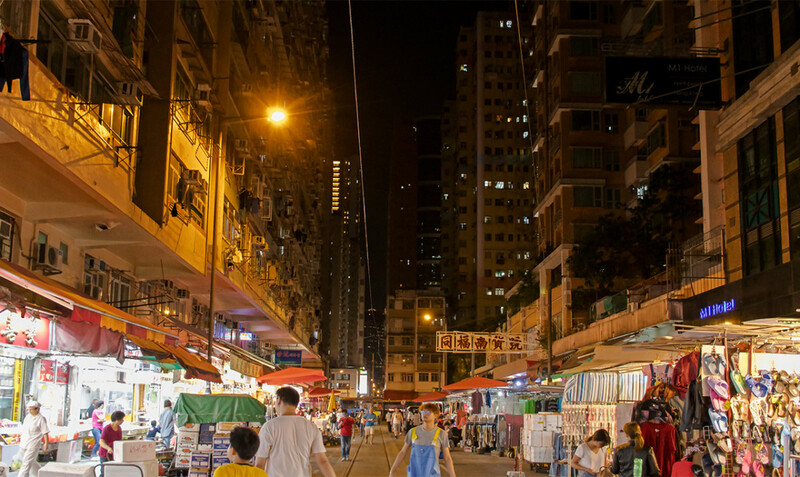 I have something else to share about Hong Kong's largest night market. Travelers familiar with Hong Kong night markets would know of Temple Street’s rather dodgy reputation in certain areas. Brands are often misspelt, as in, intentionally. Rather spartan DVD and Blu-Ray stores are also stocked full of blockbusters curiously still running in cinemas. And then there are the dilapidated tenements behind the stalls, said to be where prostitutes ply their trade. In my case, I never allow such shady stuffs get to me. In my opinion, neither should other travelers. 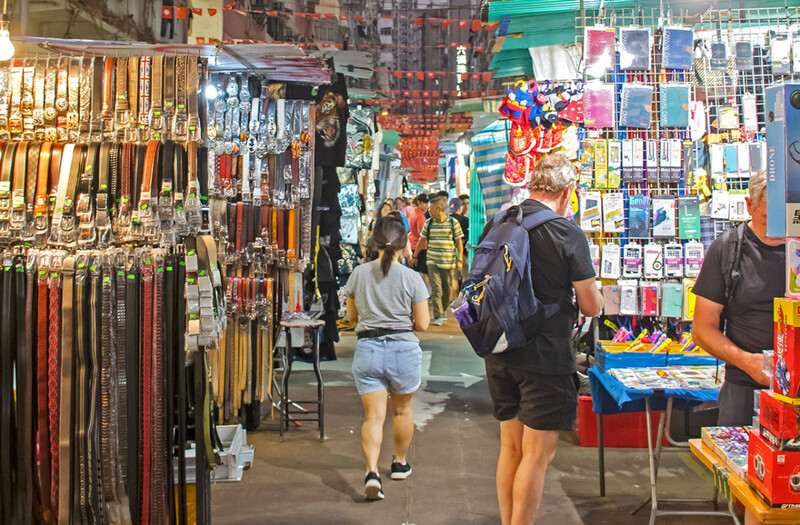 While it’s obviously what else is available at Temple Street Night Market other than clothes and souvenirs, the merchants there are well-familiar with visitors from all over the world and keen to preserve their reputation as a foremost Hong Kong attraction. There is never any hard selling. No form of harassment as well. If anything, some tourist might even find the stall keepers a little too aloof. As mentioned earlier, Temple Street is also where locals head to for good food. Today, many of the enterprising restaurants and dai pai dong here also cater to tourists, with English menus readily available. It was truly quite interesting to see how some Temple Street eateries were seated with more Westerners than local residents. No doubt this is today one of the best and most colorful locations to sample Hong Kong night market food. Nanking Street eateries. 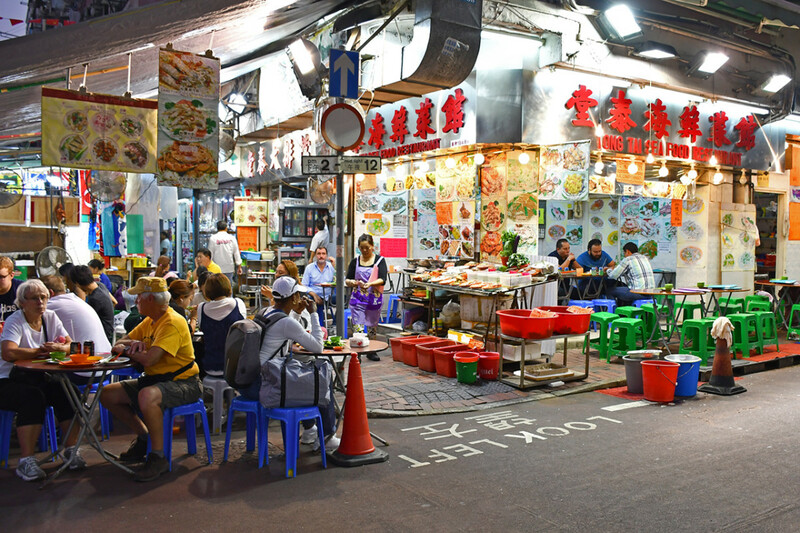 The road runs perpendicular to Temple Street night market and is famous for crab dishes. Tong Tai Seafood Restaurant at the junction of Temple Street and Ning Po Street. You could smell the sea just walking past it, if you know what I mean. This was where I first tasted guai ling gou (龜苓膏), or Chinese herbal jelly, all the way back in 1991. The name literally translate to tortoise jelly and was indeed previously made with the powdered bottom shell of the golden coin turtle. 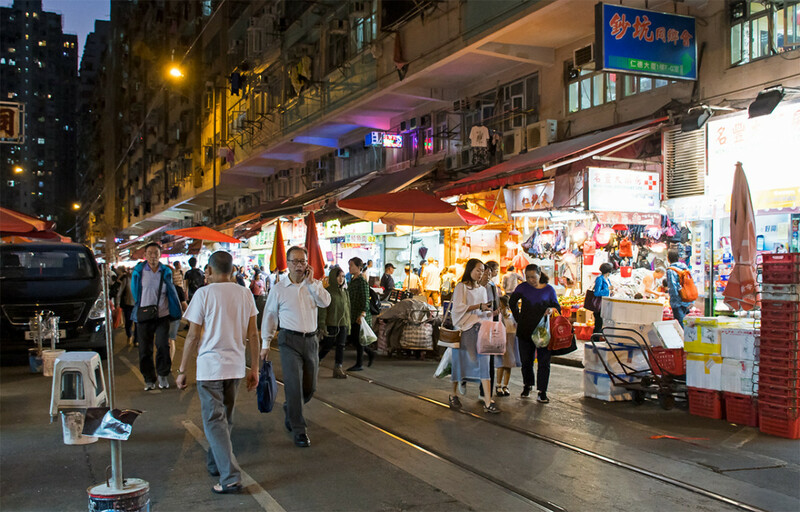 Another junction view of the night market. A popular beef offal stall at adjacent Arthur Street. 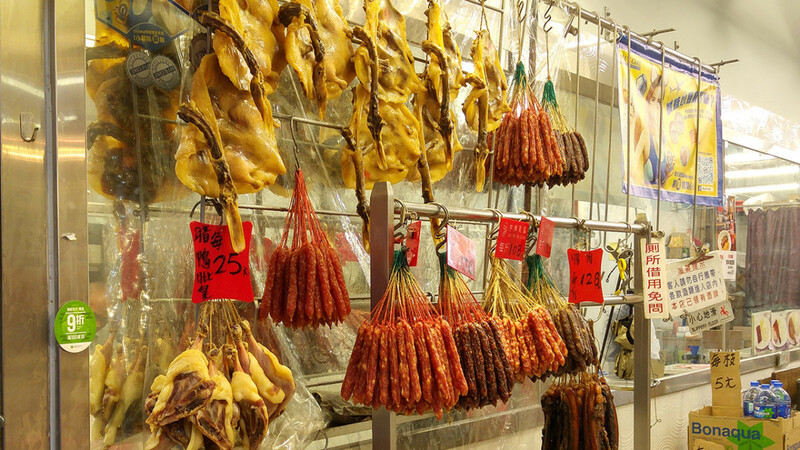 Beef offal is one of the most beloved Hong Kong night market food. Unfortunately, both the aroma and taste are too exotic for me. 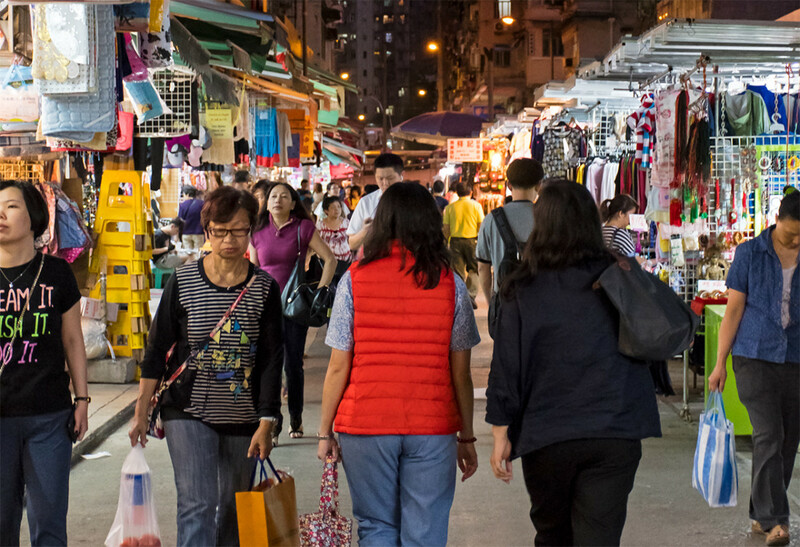 Temple Street Night Market can be reached in three ways. Take the MTR Tseun Wan Line to Jordan Station. Look for Exit A and turn right upon leaving the station. 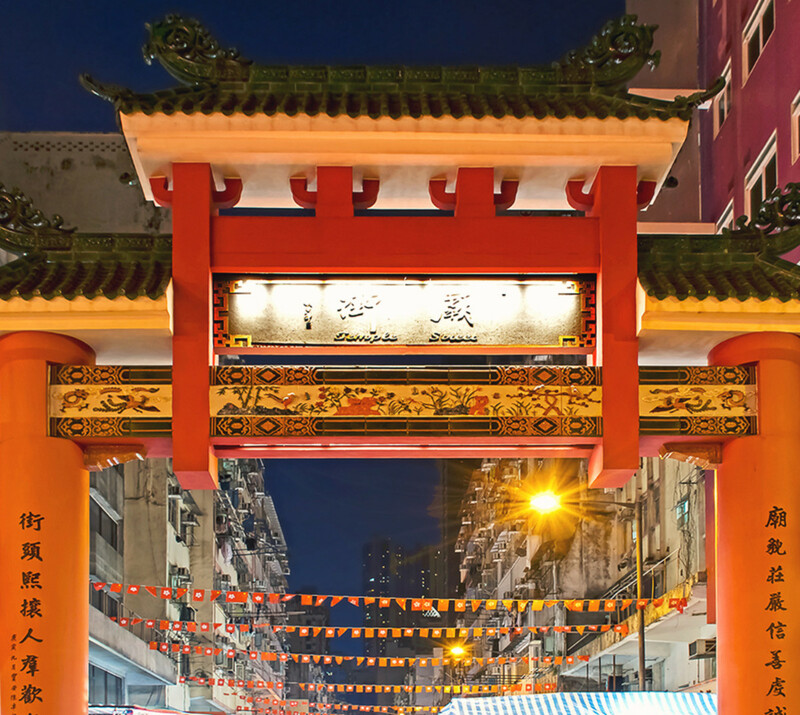 Walk along busy Jordan Road till you see the Chinese style gate marking the start of Temple Street. Alternatively, you could use Exit C2. This will put you in Bowring Street which I’ve briefly described above. Note that if you use this route, you would need to use a map to know when to turn in order to reach Temple Street. 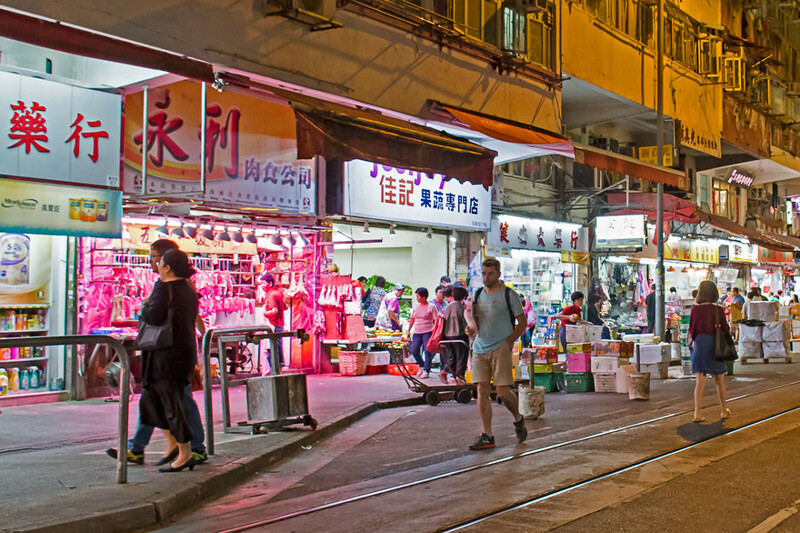 If you do not mind not starting in the “heart” of the night market demarcated by the two Chinese-style gates, you could take the MTR Tseun Wan Line to Yau Ma Tei station. Use Exit C and head up Man Ming Lane i.e. away from Nathan Road. The northern gate of Temple Street is after Arthur Street. 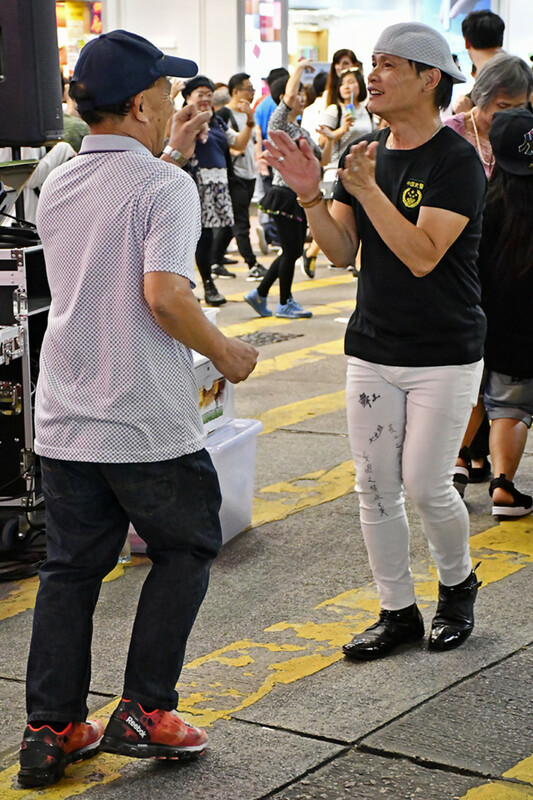 Update Sep 2018: Unfortunately, after years of complaints by nearby shops and residents, the Sai Yeung Choi Street performers have been forced to vacate the district on July 29, 2018. 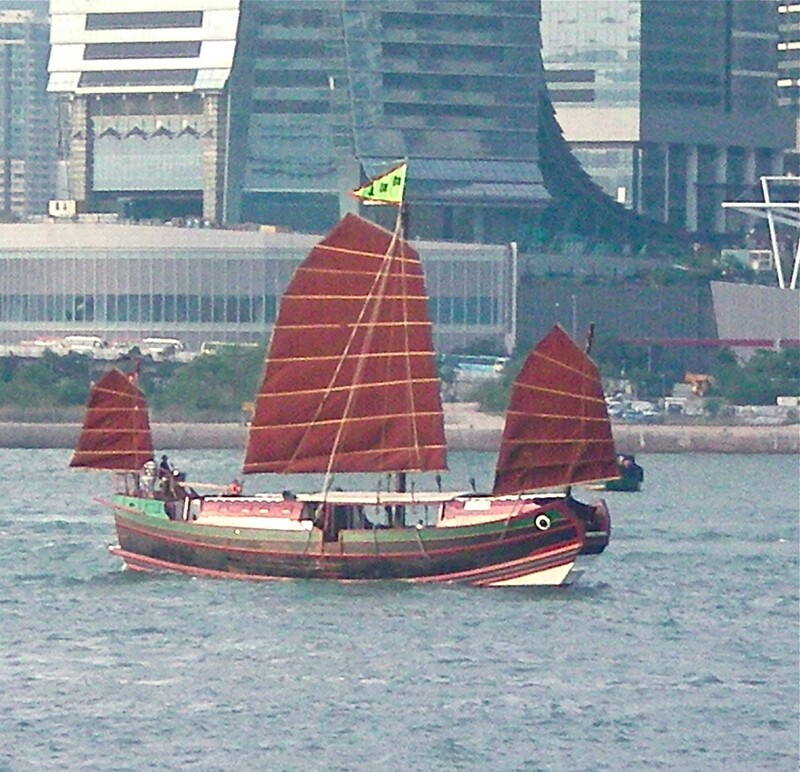 Some performers have thereafter shifted to other high-traffic touristy areas such as Wan Chai and Tsim Sha Chui. However, there is currently no concrete plan for a new performance venue for these buskers. After Temple Street, at around 8 pm, I started making my way to Ladies Market, a journey that involved just one MTR ride on the Tseun Wan Line. 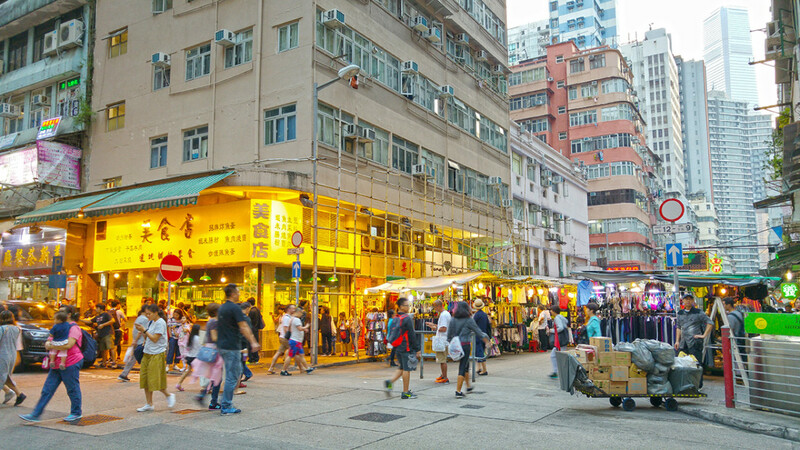 Located in the heart of the lively Mong Kok district, Ladies Market is to me an even bigger tourist draw because it is surrounded by several other attractions. 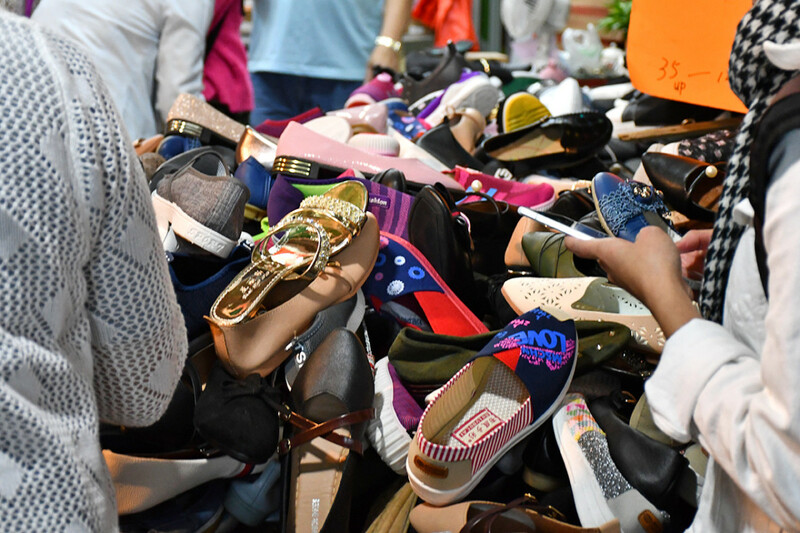 In the vicinity are tens of eateries, an alley specializing in sneakers, even a stretch of pet shop with window displays that would melt your heart. Best of all, the adjacent street i.e. 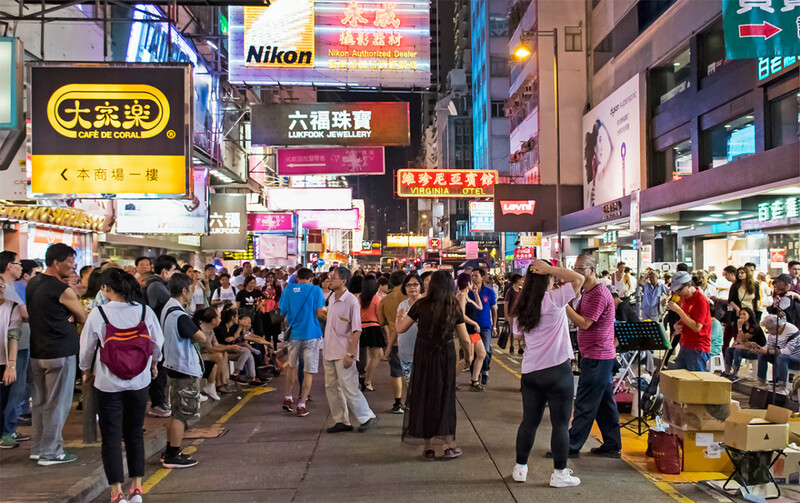 Sai Yeung Choi Street South (西洋菜南街) is pedestrianized for street performances on weekends. I was really looking forward to watching these open-air performances. 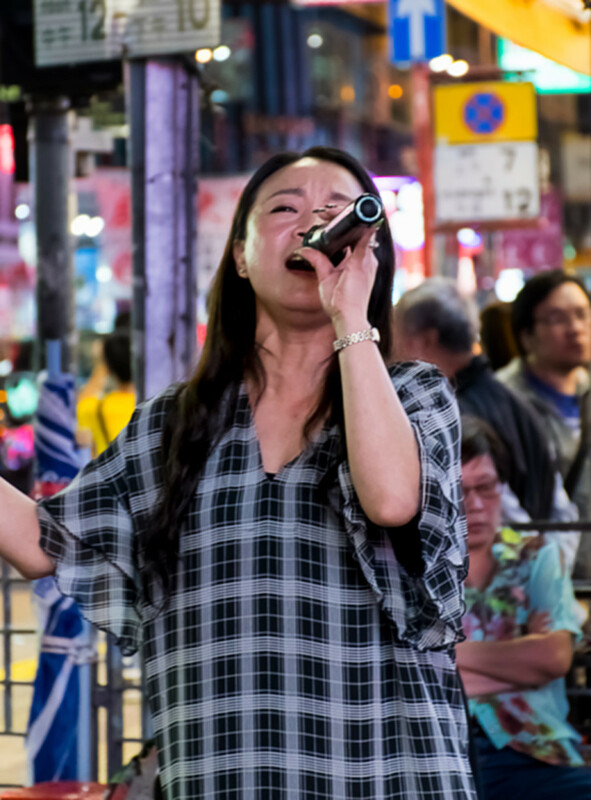 Many of the buskers have appeared on Hong Kong television and YouTube, or in documentaries featuring Hong Kong night markets. View upon exiting Mong Kok station. 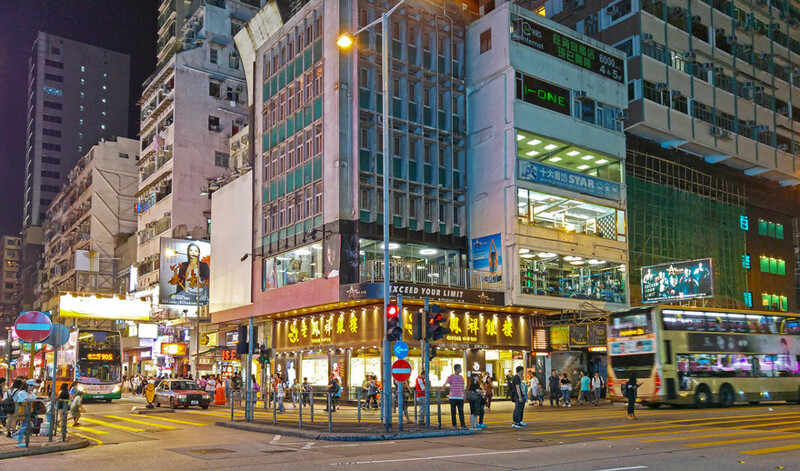 This is the junction of Sai Yeung Choi South Street and Argyle Street. 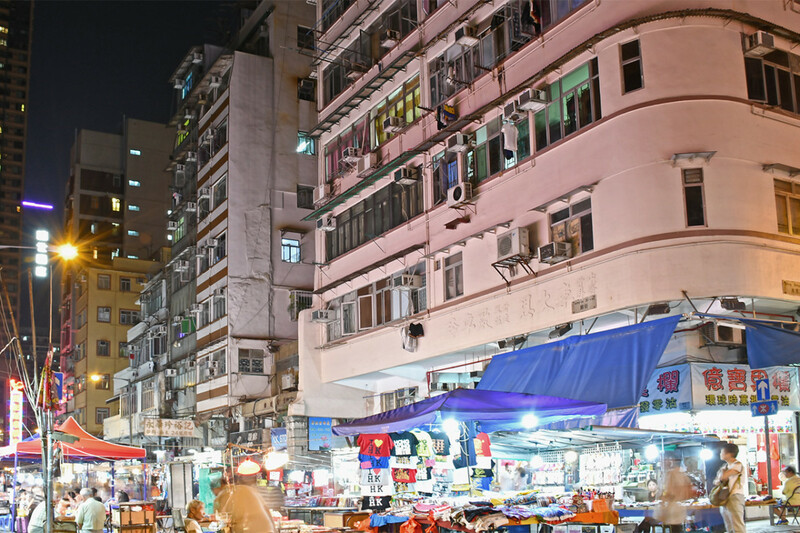 Overview of Sai Yeung Choi Street South. Look at the number of people! One of the many, many performing groups. I counted over twenty. 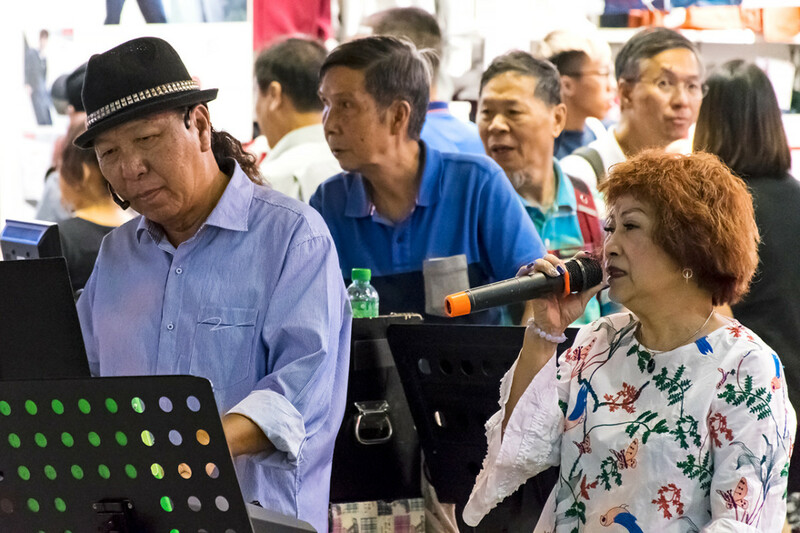 Many of the performing “stations” had locals spiritedly dancing to recorded Cantopop. She is really into her performance, as you can see. Another view of this energetic street. 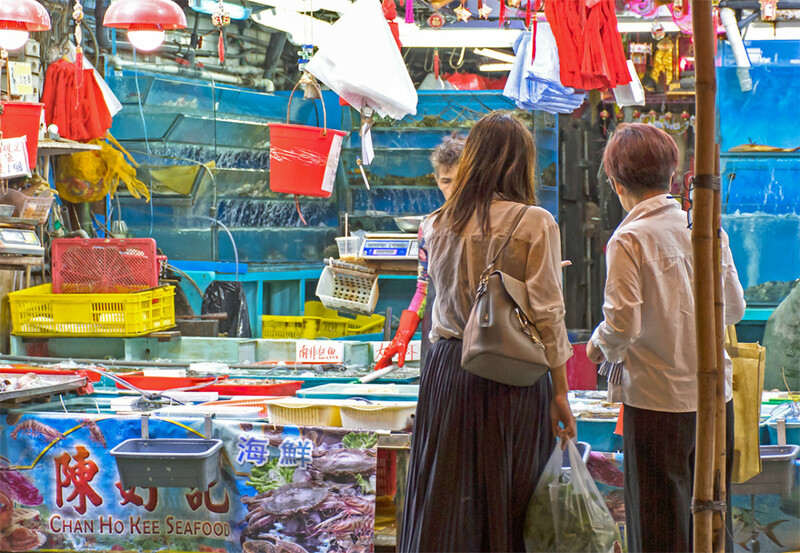 The actual Ladies' Market on Tung Choi Street. After the street performances, the market itself felt curiously serene. 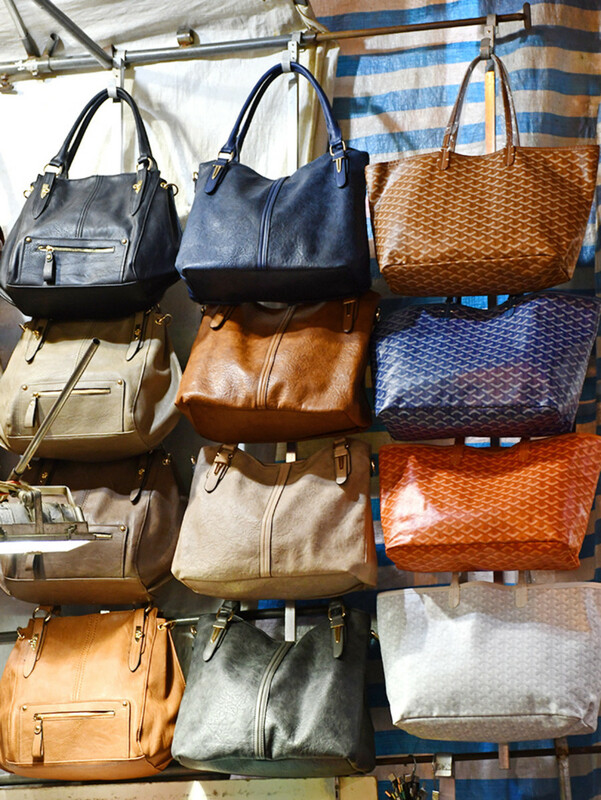 Ladies' handbags. Standard merchandise in all Hong Kong night markets. Another view of the night market and the tenements flanking it. A word of “warning” regarding this night market, so to speak. My route that evening was to exit Mong Kok station using Exit D3, head south down Sai Yeung Choi Street South, make a left turn when I hit Dundas Street, then another left turn to head north up Tung Choi Street. 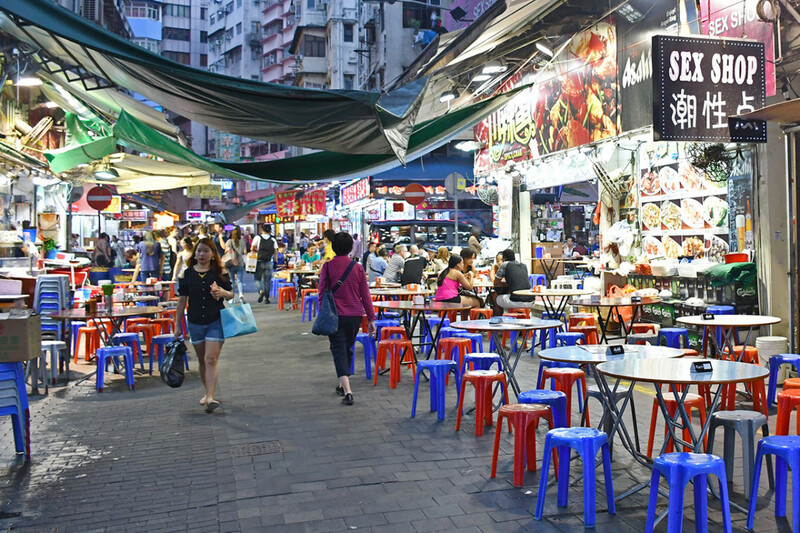 If you are also using this U-shaped route of mine during your own visit, be aware that the snack shop at the junction of Sai Yeung Choi Street South and Dundas Street is one of the most beloved outlets for Hong Kong Stinky Tofu. 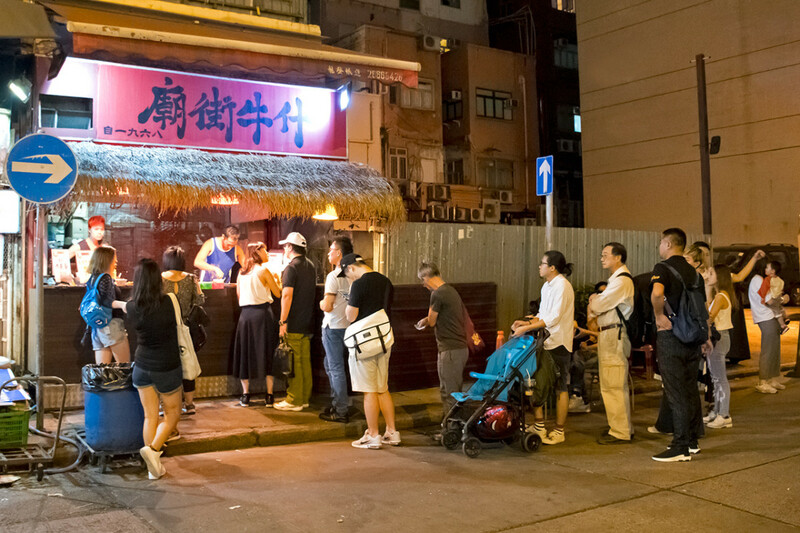 To say Stinky Tofu is an acquired taste/smell is an understatement, yet some would also insist that one has not truly experienced the Fragrant Harbor without at least one sniff of this classic Hong Kong night market food. As for me, it’s an aroma to immediately flee from! For that reason, I have no pictures of this junction and outlet to share. I was too preoccupied with scuttling away! The most convenient way is to take the MTR Tsuen Wan Line to Mong Kok Station. Use Exit D3 and you’re at the start of the performance stretch on Sai Yeung Choi Street South. Do be careful and observant when buying snacks from roadside vendors. Some are less than respectable when it comes to hygiene standards, no matter the number of patrons surrounding them. Two evenings later, I made my way to Chun Yeung Street night market at the heart of the North Point district. There were various reasons for me wanting to visit this market, foremost of which being it was a major inspiration for one of my favorite open-world games i.e. United Front’s Sleeping Dogs. Having read in advance that the market primarily caters to locals, I anticipated the visit to be a very different experience from my earlier ones; no souvenirs or bargain clothes hunting at this one. Instead, I would be getting an intimate peep at a typical Hong Kong resident’s daily life. Here was also where I might also look a little odd, stumbling about with my touristy DSLR camera. This greeted me upon exiting the MTR station. 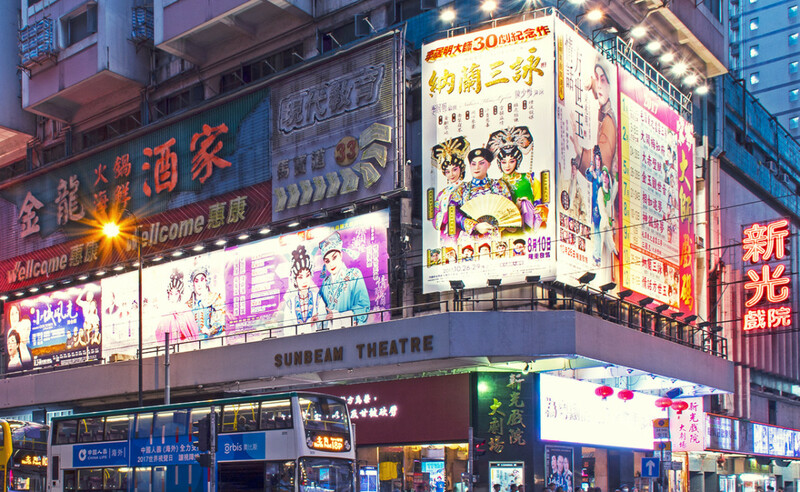 One of my other objectives for visiting North Point was to check out the Cantonese opera scene at Sunbeam Theatre, one of the most important performance venues for the art in Hong Kong. 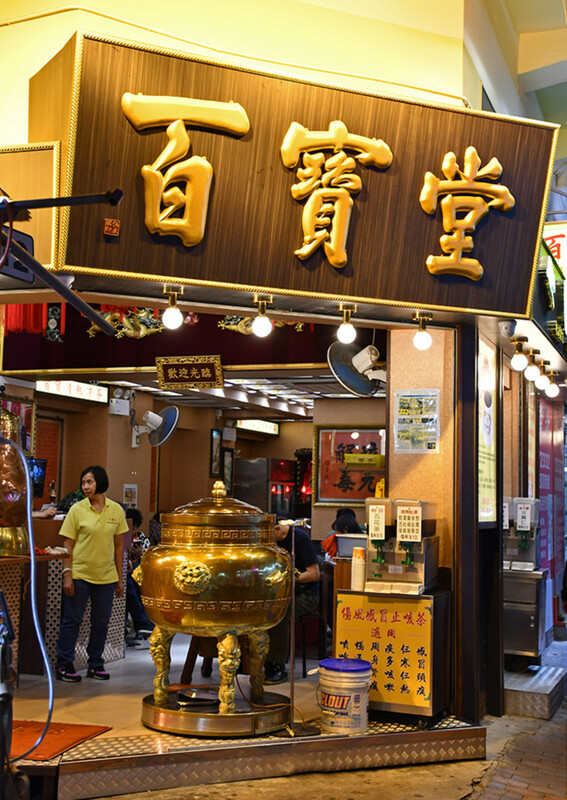 Chun Yeung Street is a short walk away from North Point MTR station. 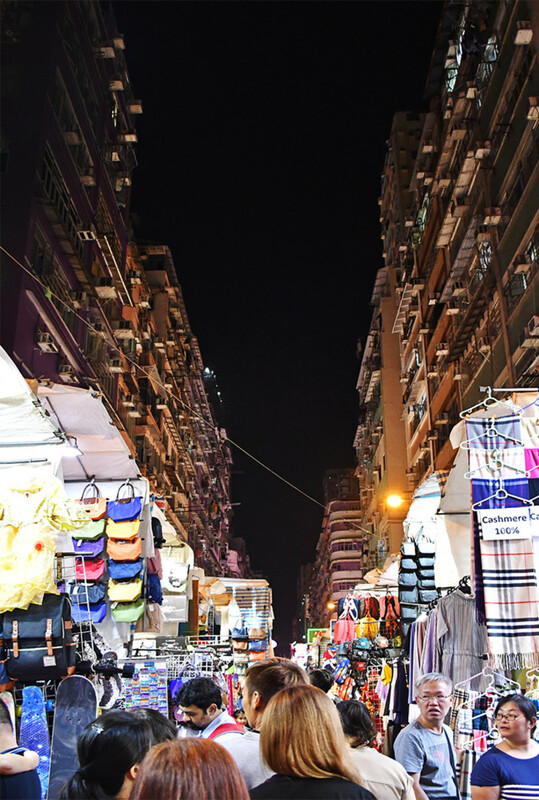 This is Marble Road, which is itself lined with budget clothing stalls. From HKD 35 onwards. That converts to about USD 4.50. Is that a bargain? 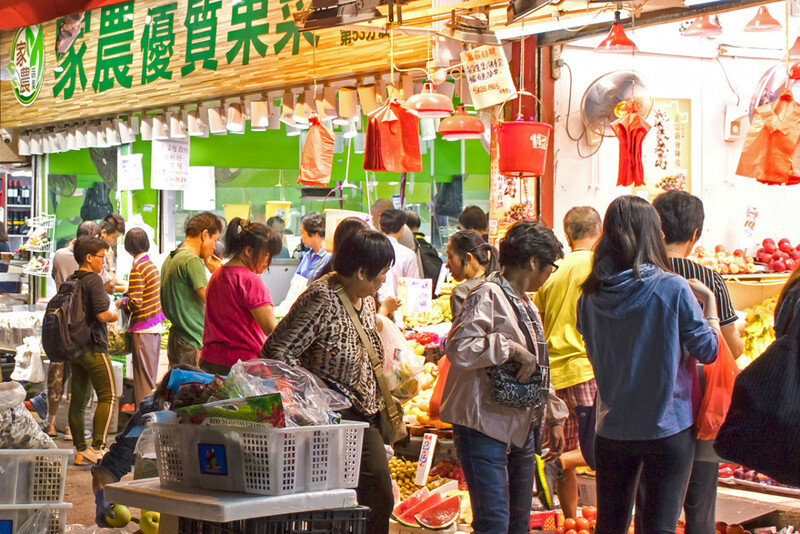 The actual wet market at Chun Yeung Street. Note that those tracks on the road are for Ding-Ding trams. They appear every five minutes or so, crawling up the road. Closer view of the fresh produce shops that line the whole street. I took this shot around 7 pm. These folks would soon be returning home with their purchases to prepare dinner. Seafood shop. Hong Kong cuisine places a lot of worth on live, yeow seou seafood. Another view of the fresh produce shops. How do I feel about Chun Yeung Street? Well, it’s definitely not touristy. 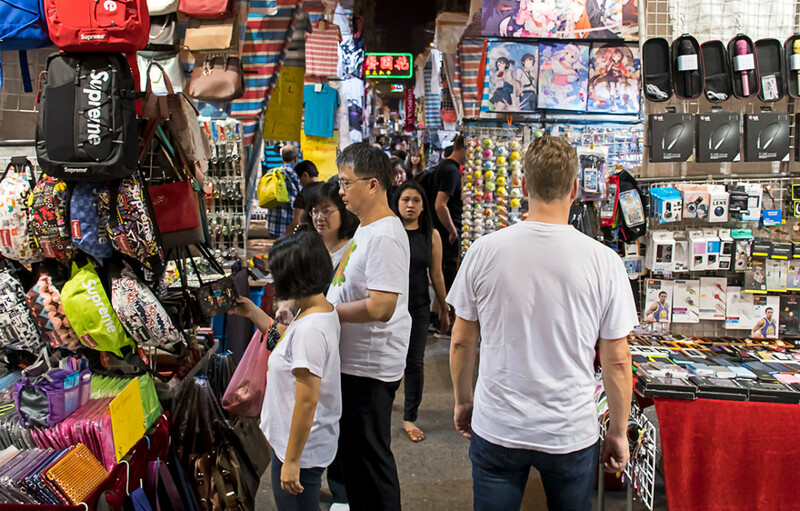 Much smaller compared to the better known Hong Kong night markets too, with 90 percent of products unsuitable for tourists. That said, it’s a different look at Hong Kong. 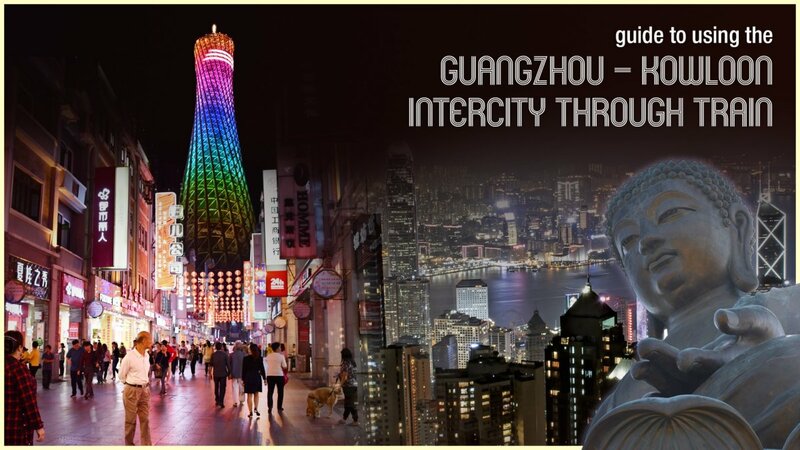 The market is easily reached too; merely two stations away from the tourist haven of Causeway Bay. And oh yes. I did attract some attention with my photo-taking. A bunch of elderly gentlemen were making faces at me, much amused by my constant fumbling with my tripod. Take the MTR Island Line to North Point Station and use Exit A2. Marble Road is to the right of this exit. Head to its end and Chun Yeung Street is across the road. (You would need to make a slight detour to cross the road because of a traffic flyover) If you wish to see Sunbeam Theatre, then use Exit B1. Hey Thelma! Glad you like the hub. Hope you get to visit HK soon. It is such a fascinating city. Wow! This is a very informative hub. 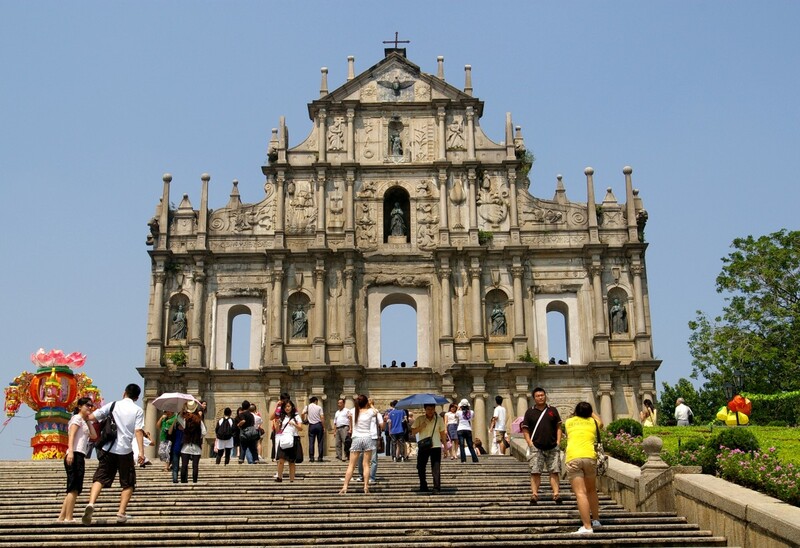 I have been only in the airport as a transit traveler in Hong Kong. 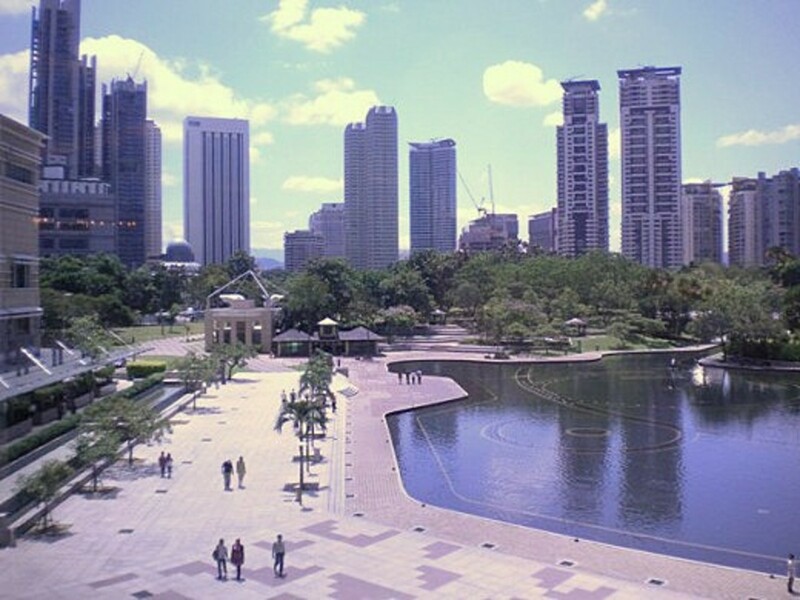 I hope I can visit these places in your photos one day. Thanks for sharing. Hey Linda, thanks for commenting. Hope you'd visit them in real life some day too. Thanks for the interesting tour, Cedric. I enjoyed looking at the photos very much. The markets look entertaining and enticing. Hey Srsddn, thanks for your comment. Yes, HK movies and tv series are choked full of triad storylines and inevitably they portray areas like Temple Street, Portland road as gangster strongholds. Again, while these aren't entirely untrue, I've never remotely seen anything triad-like at these places. (Except illegal DVDs, that is, lol) This would esp be so if one were to refrain from back alleys and venturing up the tenements.